It’s almost Fiesta time!! 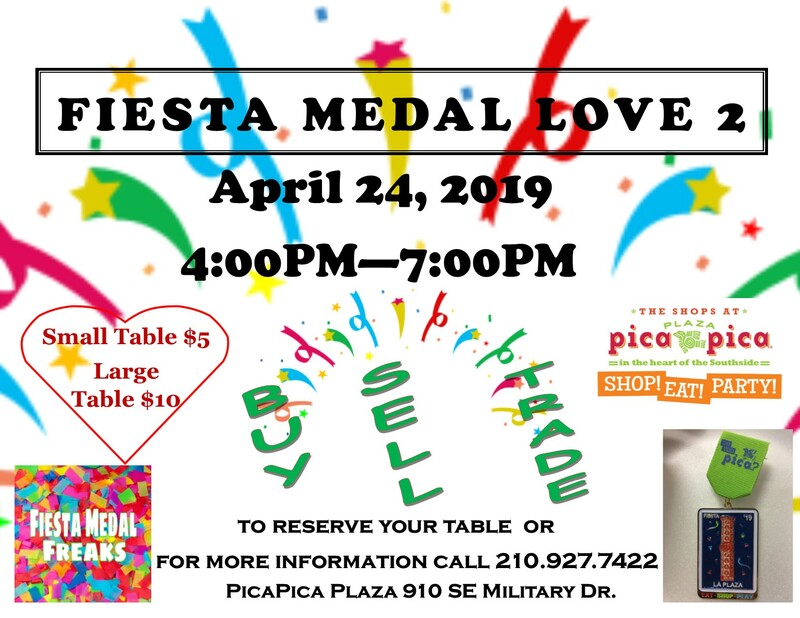 Stop on in to buy, sell, or trade your medals! Door prizes, food and fun! Reserve your table now, pre-payment is required. We will provide tables and chairs. Small table $5 or large table $10. Yes you can share a table! Stop by our leasing office @ 910 SE Military Drive. Cash, check or money order only. 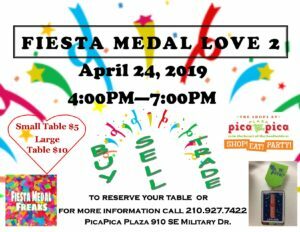 Thanks to Fiesta Medal Freaks for your support!